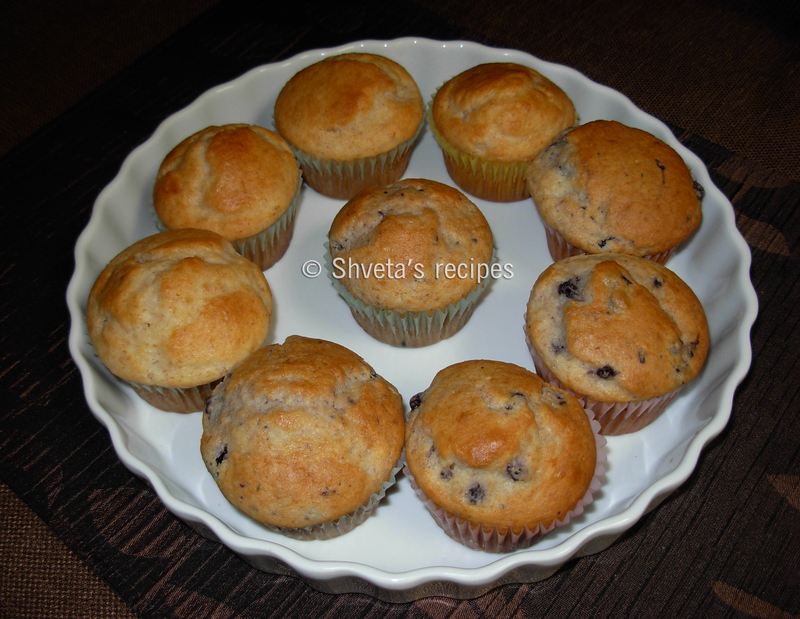 Eggless blueberry muffins are great for healthy breakfast or a snack. 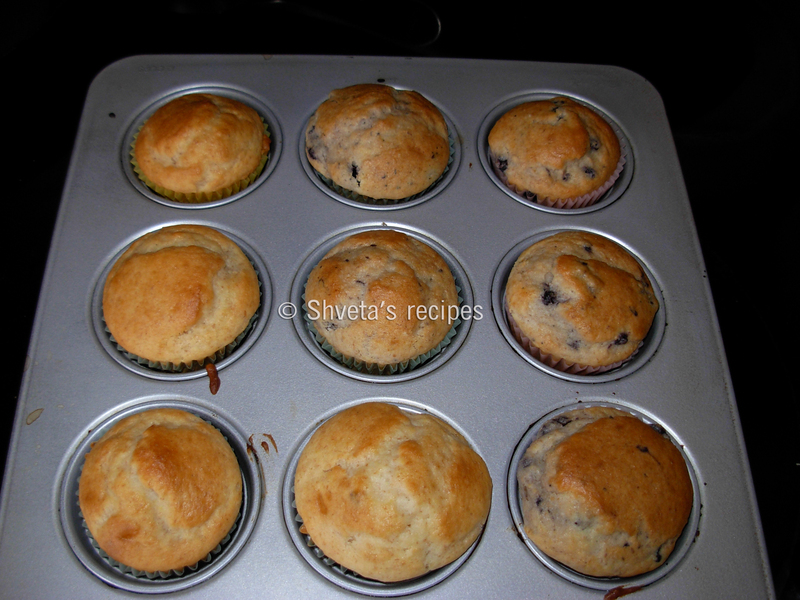 Combine flour, sugar and baking powder in a large bowl. Stir in milk and melted butter slowly . Fold in blueberries. Fill each cup 2/3 full.